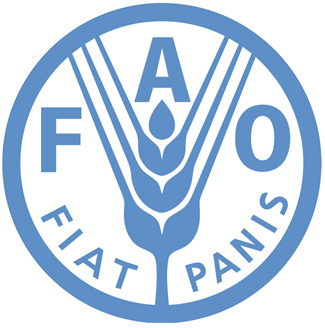 FAO and the government of Ethiopia today signed a partnership agreement which aims to reduce youth mobility caused by poverty, through innovative policies that will create jobs and business opportunities for young people in the agricultural sector and in rural areas more broadly. The two-year project is being supported with funds provided by the Italian government and aims to obtain a better understanding of the dynamics that lead rural people – youth in particular – to leave their homes and seek employment elsewhere. The improved evidence on rural migration trends and impacts will help policy-makers, improve agricultural and rural development policies in order to increase employment opportunities, and make rural areas more attractive to young people. The total contribution by the Italian government amounts to $2.5 million for the project as a whole, which includes a similar initiative with Tunisia. The partnership agreement with the Tunisian government is set to be signed at a later stage. The project will further provide support to strengthen capacities of Ministries of Agriculture, Youth, Labour and Vocational Training in Ethiopia in the design and implementation of such policies. Representatives of the private sector and civil society organizations will also be supported and their capacities strengthened to engage in the development of relevant policies and programmes. Initiatives geared towards civil society will aim at empowering producer organizations, youth groups and migrants’ networks in particular. The partnership agreement was signed by the Minister of Agriculture and Rural Development of Ethiopia, Tefera Derebrew and FAO Director-General, José Graziano da Silva, at an event during the 3rd International Conference on Financing for Development. “Identifying critical entry points of this project and aligning it with our national policies and strategies, will help to address poverty issues in rural areas and ensure the successful implementation of this project about rural jobs for youth,” said Minister Derebrew. “Ethiopia faces major youth and migration challenge, and is at the forefront in efforts to transform its agricultural sector and rural areas towards more inclusive and job-rich pathways of development,” the FAO Director-General added. Also present at the signing ceremony was the Ambassador of Italy in Ethiopia, Giuseppe Mistretta whose country is providing the critical resources to fund the programme. Italy has a keen interest in youth employment issues throughout the world and is placing major emphasis on this area in its development programmes. Earlier this week Prime Minister of Italy Matteo Renzi, speaking at the The 3rd International Conference on Financing for Development in Addis Ababa, outlined his government’s intention to step up co-operation efforts with African countries. “The real challenge for us is not only to save human lives…the real challenge is to create jobs here, to create a new perspective of hope. People are escaping from a condition of poverty, of need, of conflict, of persecution, people are looking for a better future,” Renzi added. • Improved knowledge and awareness on how to harness the potential of economic mobility to promote youth employment in agriculture. This involves assessing how mobility patterns impact on rural livelihoods, and the role that migration and remittances play in rural transformation processes and employment generation. • Strengthened policies in Ethiopia aimed at making it easier for young people in rural areas to find jobs in farm and non-farm activities, including through the promotion of start-up businesses and off-season employment opportunities. Lessons learned will inform global debates on economic mobility. Experiences in Ethiopia and the data collected will also be used to enhance international dialogue such as that between the European Union and African countries, as well as within the framework of the Euro-Mediterranean Partnership. Currently, there are 740 million internal and 232 million international migrants in the world –many of them young and mainly from rural areas — who feel forced to migrate due to poverty and a lack of local opportunities. In Ethiopia – where over 30 percent of the population is living in extreme poverty and 32 percent of the population is undernourished – migration, both internal and external, is a key livelihood strategy for many households. Young Ethiopians living in rural areas are facing increasing difficulties in accessing land – due to population pressure and environmental degradation – and in finding jobs. A majority of migrants are male, often leaving women behind to take care of the farm and the household. This puts women in a particularly disadvantaged position as they face greater difficulties accessing inputs, credits and other means to keep up farm production and as they tend to have less access to alternative employment and business opportunities.